There’s no doubt about it, Sandymount is one of the most desirable residential areas in the country. Not only does it enjoy proximity to Dublin city centre and the unique ‘village atmosphere’ that it’s famous for, it’s also close to beautiful Sandymount Strand where, when the light and the fast-flowing tides are just right, walkers still get that sense of ‘walking into eternity,’ famously experienced by Stephen Dedalus in Ulysses. Close by, Irishtown Nature Park, with its views of the bay and the Dublin Mountains, is rich with a wide variety of flora and fauna and is home to many species of sea and shore birds, including skylarks, linnets, and herons. Brent geese winter in an area of grassland nearby. The Nature Park is used throughout the year by locals and visitors alike for a relaxing stroll along the shore to the Shelly Banks, many accompanied by their obviously happy to be there dogs. The importance of the Dublin Bay area as a habitat and amenity was recognised by UNESCO in 1981 when Bull Island was designated a Biosphere. The Biosphere was expanded in 2015 and now covers all of Dublin Bay. As a newly designated buffer zone, the Dublin Bay Biosphere now extends to over 300 km. Sandymount Strand is the epicentre of the core zone. Sadly, regular walkers in the area have become very concerned about the deterioration of the area’s unique amenities because large quantities of rubbish, some discarded by visitors and some washed up by the tides, have built up over the winter months. The debris includes cans, bottles, plastic packaging and shopping trolleys, old carpets, and bags of household garbage discarded alongside the Nature Park footpath, an area that is easily accessible to passing motorists. There is evidence too of more sinister rubbish, such as microbeads from personal products, sanitary waste and all types of non-biodegradable materials. The impact of rubbish on the marine environment cannot be understated. It is causing long-term damage to the ecosystem and to the wildlife species that live in the water and along the shoreline. 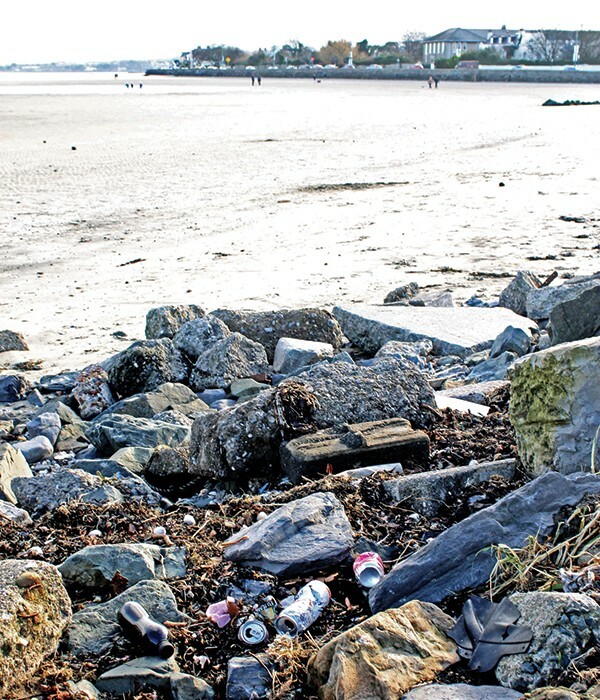 In 2011, Sandymount resident Catherine Devitt, concerned about the exceptional amount of marine rubbish which was left on the beach after the fierce storms Ireland experienced that year, set up the Sandymount Beach Clean Up Group. Since then the Group has organised several successful clean-up events. The Group is looking for new volunteers, especially people who are willing to help with the administration, including logistics for clean-up events, help with the group’s website and social-media pages and with publicity. Devitt wants to establish a core committee that will take on the task of organising the group’s activities. Volunteers who would like to help at clean-up events are also welcome. Apart from the positive impact that these events have on the environment, they can be a great way to get to know new people in the area and are a wonderful family bonding activity, a getting in touch with nature experience remembered long after the latest computer game has been and gone. Organisers are hopeful that residents, local businesses and clubs will come together to form a strong local Clean Coasts volunteer group. 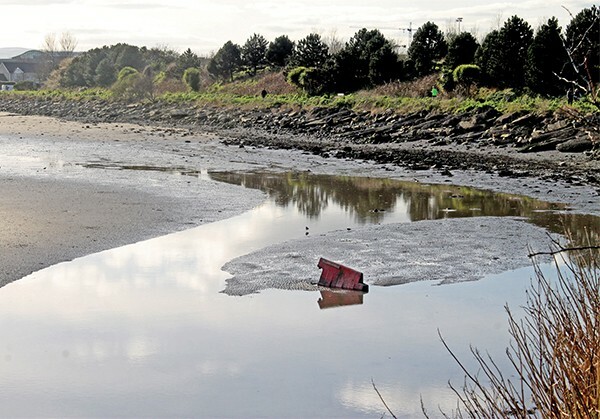 At an information evening, which was held in Christchurch Hall, Sandymount, on March 1st, Aidan Gray from An Taisce’s Clean Coasts programme outlined the work An Taisce is doing in partnership with local clean-up groups throughout the country. He promised support for the Sandymount Group and is already in consultation with local businesses to facilitate environmental clean-up days for staff, which have proved to be very successful elsewhere. The small monetary contribution businesses are asked to make, which goes towards funding local clean-up groups, has never proven to be a problem. As well as the obvious social benefits, the initiative is a cheap and effective way to provide staff with a team-building experience that makes a positive difference.